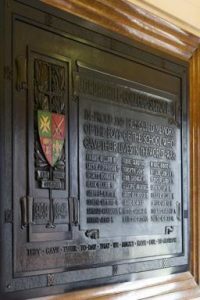 This morning pupils in S1-S3 and S4-S6 attended two special services of remembrance held to mark the 100th anniversary of the armistice of 11th November 1918. Rev. Bruce Sinclair led both services with readings and performances by pupils. Poppy wreathes were laid at the war memorial as part of each service. Remembrance Reflection written and orated by the School Captains. 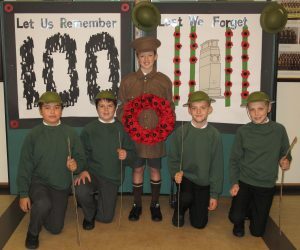 In the afternoon the pupils of Primary 7 gave a very moving presentation including performances of ‘Keep the Homes Fires Burning’, ‘Pack up your Troubles’, ‘It’s a Long Way to Tipperary’ and the much more recent ‘Accrington Pals’.